Good News for those who looking to buy powerful mid-range Android Phone. Samsung Galaxy Ace Plus S7500 is now available in India with the price tag of Rs. 16,275. You can purchase the smartphone from Flipkart with with 1 year manufacturer warranty for Phone and 6 months warranty for in the box accessories. 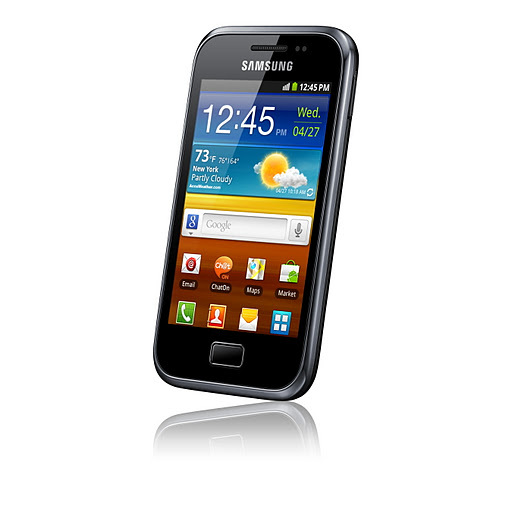 Galaxy Ace Plus has 1 GHz Processor with 512 MB of RAM, 5 MP Camera, 3.65-inch TFT Capacitive touchscreen and runs on Android v2.3 Gingerbread OS. Take a look to the full specification here.